One of our most common requests is for books published by Arkham House, often specifically with an interest in H. P. Lovecraft. Let's just a look at a background of the two, and their relationship. Howard Philips Lovecraft came first, and was arguably the most important writer in the genre. Preceded by literary giants like Edgar Allan Poe and followed bestsellers like Stephen King, Lovecraft made his mark with his lasting readership and mythos. As with many a fantasy writer, Lovecraft took a good few decades to find his way into serious literary study, and his public readership has grown steadily over time. So whilst he might not have the depth of Poe or the accessibility of King, he does occupy an area right in the heart of horror. And that is of course not to even mention his influence on the genre which was all but created in his wake. Weird and Supernatural fiction did of course exist before Lovecraft, with the Edwardian and Victorian greats such as Arthur Machen, Lord Dunsany, William Hope Hodgson and Poe himself, paving the way. It was the sheer imaginative quality of the worlds he created though that gave Lovecraft his position in canon. In his lifetime, he was just another pulp writer making little from the stories. 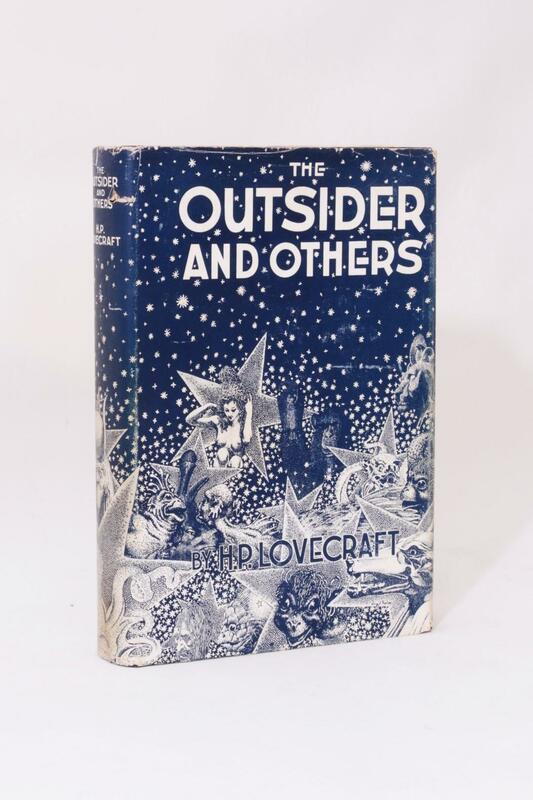 It wasn't until August Derleth and Donald Wandrei decided to publish a volume of Lovecraft's work, The Outsider in 1939 that his legacy really started to find feet. Arkham published a second Lovecraft volume, Beyond the Wall of Sleep, in 1943, being the fourth publication by Arkham (the second and third were Clark Ashton Smith's Out of Space and Time, Beyond the Wall of Sleep). A number of subsequent Arkham publications built on Lovecraft's Cthulhu Mythos, the name for Lovecraft's fictional universe as coined by Derleth (c.f. Tolkien's Middle-Earth or Lewis's Narnia). These expansions of the story base have had a profound influence on the continuation of Lovecraft's readership, and also on Arkham House titles. Arkham and Lovecraft have been collected strongly for decades, and show no signs of lessening, due in good part to the constant flow of new titles and anthologies being published, and work from the likes of S.T. Joshi. As with most writers, the early material is the most highly sought given the relative scarcity due to the obscurity. It's not unusual for collectors to limit their collections to a particular publisher, though it is somewhat rare with genre fiction (particularly when the quality of production is low). Again, it's the early titles that are highly sought. As always condition is paramount, but the market being what it was, and to some extent still is, supply is comfortably limited. Most of the early titles were printed with runs in the low thousands and rarely saw a reprint (the exceptions being a number of the Lovecraft titles). The books aren't too scarce on the ground. Demand is reasonably high, but not high enough to push the prices beyond the reach of most collectors (the early titles would be the exception to the rule - and some of the 1950s titles). 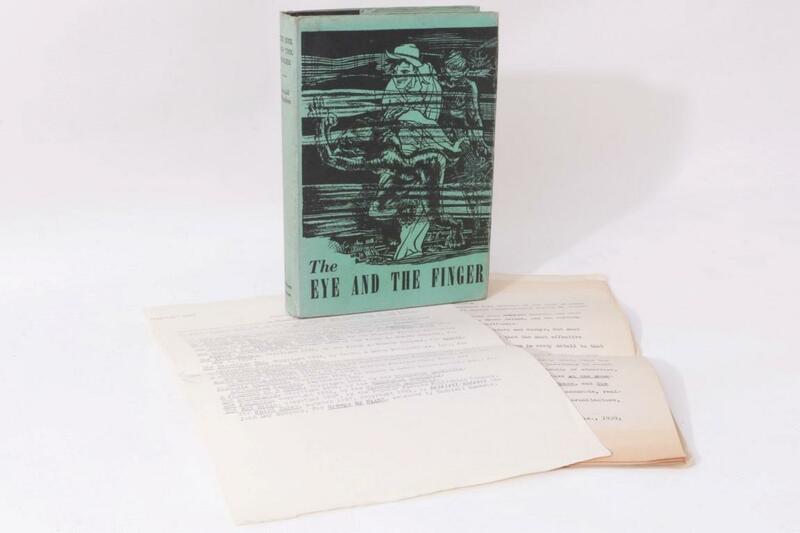 The mean price for a pre-1980 Arkham House title, excluding the highlights is around £100, with many around the £50 mark and only a few exceeding £250. The highlights being the two early Lovecraft titles, The Outsider and Beyond the Wall of Sleep, Ashton Smith's Out of Space and Time and A Hornbook for Witches and Dark Chateau (both scarce due to the small print runs) and Bradbury's Dark Carnival (being his first book). Another title worth mentioning is the scarce Arkham House: The First 20 Years, being printed in very small numbers in hardback. These regularly fetch four figures, with The Outsider not uncommon beyond the £5000 mark. There are other titles below the £1000 mark, and similarly, some of the cheaper, early titles will fetch close to £1000 if in lovely condition. To summarise, collecting Arkham House can be very rewarding, there's an active buying and selling community, plenty of books for all budgets, and even ephemera. It also doesn't harm that more often than not you'll find a first edition, the reprints are often as sought after as the first impressions. Lovecraft is a slight different proposition, given the fact that much of his work was printed in low quality nearly a century ago. This means condition is regularly an issue, and where not, prices can be high. Unfortunately, very little of his non-Arkham work was published in hardback, and where it was it can be very expensive. It's a lot trickier collecting Lovecraft, given the quantity of ephemera, magazines and letters. It's likely not one for completist. That's not to say it's unrewarding, it can be very rewarding, because unlike the Arkham stuff, there is a lot of unique material out there, particularly letters - Lovecraft was a prolific letter writer. If you're interested in starting an Arkham or Lovecraft collection, please do get in touch we'd be happy to help. For now, a selection is found below. You can find our full Lovecraft offering here, and our Arkham offering here.